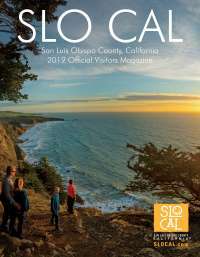 San Luis Obispo County, CA (November 3, 2015) - Visit San Luis Obispo County, the non-profit, destination marketing organization for San Luis Obispo County, has announced the hiring of a new Director of Travel Trade, Michael Wambolt. With more than 15 years of hospitality experience, Wambolt will be instrumental in serving the initiatives set forth by the Tourism Marketing District to expand tourism, and create a unified marketing and travel trade approach in San Luis Obispo County. His role will expand County participation in tradeshows, sales missions and tour operator familiarization tours (FAMâ€™s). He will additionally develop business through pursuit of corporate and leisure meetings/conference groups, and through lead generation. In early 2015, Wambolt was offered an opportunity to act as Director of Sales for Marriott, where he spearheaded the opening of the SpringHill Suites in Atascadero. Shortly after, he was offered the Director of Travel Trade position with Visit San Luis Obispo County. â€œDuring my time at the hotel level, I always sold the destination of San Luis Obispo County and now I have the opportunity to create a travel trade and sales strategy that will benefit all of our constituents,â€ said Wambolt. â€œI look forward to building strong relationships with our partners and tapping into market share that has been previously unreached, developing new opportunities for San Luis Obispo County.â€ In addition to creating a travel trade and sales strategy for Visit San Luis Obispo County, Wambolt will also be responsible for building and training a sales staff.